Abimbola Alashi is a graduate of Estate Management from Federal University of Technology, Minna and Msc. in Real Estate Development from University of Westminster UK. 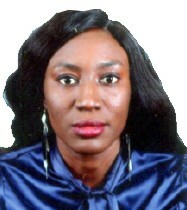 She is a management surveyor with specialization in Facilities Management. S he has over five (5) years experience in the practice of real estate management profession. She is level headed, diligent and very meticulous.